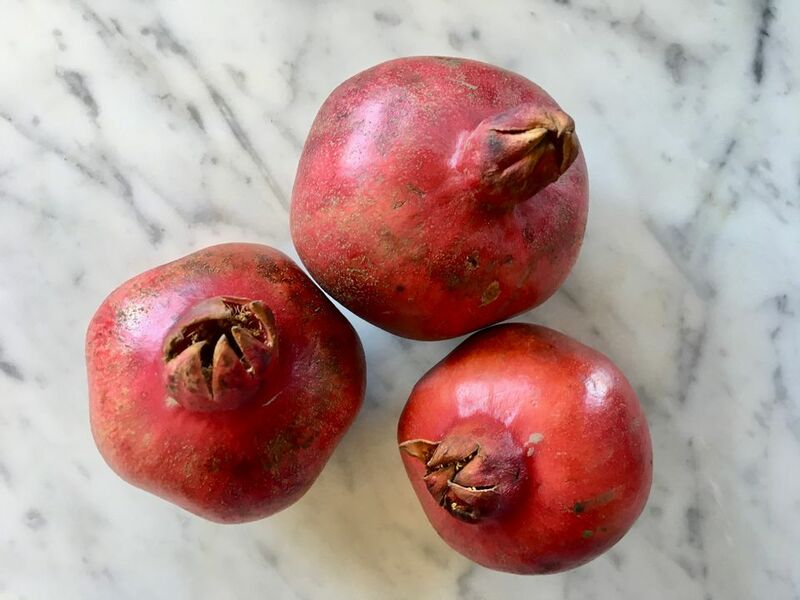 You can find lots of crazy guides telling you to separate pomegranate seeds from the pith and membrane in a bowl of water, but none of that nonsense is necessary. Eating a pomegranate is easy and pretty quick in the scheme of things, once you get the hang of it. Just follow the simple directions here and you'll be eating pomegranate seeds in no time. Look for plump, rounded pomegranates. They dry out as they're stored, and older specimens will have started to shrink a bit as the thick skin starts to close in on the seeds. Pomegranates should feel heavy for their size and be free of cuts, slashes, or bruises. Pomegranates do not ripen after they're picked but bruise easily when ripe. This means a lot of pomegranates are picked a bit under-ripe. You are much more likely to find truly ripe, fresh pomegranates at farmers markets, co-ops that get deliveries directly from farmers, and farm stands. Cut off and discard the top of the pomegranate, being sure to cut off enough of the top to reveal the bright red seeds underneath. Pull the pomegranate apart into halves or sections. Follow the sections of the pomegranate as divided by the white pith as much as possible (this is where the fruit will naturally pull apart in most cases) and using the scored cuts you made to help you out. Break the pomegranate sections into slightly smaller pieces for easier handling. 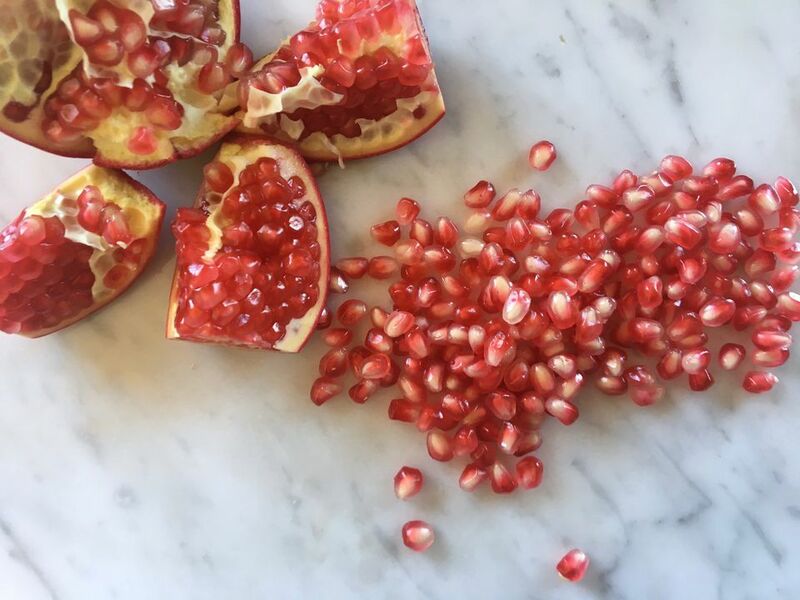 It's best to do this over a clean work surface or bowl—wherever you plan on putting the seeds when you're done since some seeds tend to fall out of the pomegranate at this stage. Peel off and discard the bits of the white membrane covering the clusters of pomegranate seeds. Working over a clean work surface or bowl, turn each pomegranate section "out." Take the edges of the section and pull them back towards you to push the seeds out towards the bowl. Gently rub or "pop" each seed off the pith or inside peel of the pomegranate. Ripe pomegranate seeds will come off the pith relatively easily, although you may need to remove a bit of pith at the seeds' ends where they were attached to the peel. Each medium size pomegranate will yield about 1 cup of seeds. Use them in salads, drop them in drinks, or enjoy them straight-up.